Apple has always been up and running as one of the biggest and competent manufacturers of smartphones in the world. 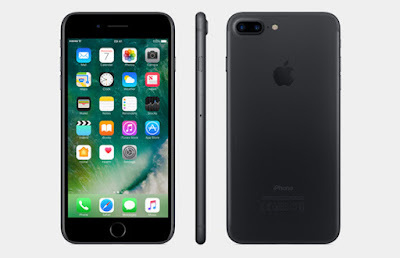 With the release of the iPhone 7 Plus in the September of 2016, the company still continues to keep a strong foothold on the international market as a tough competitor against brands like Samsung, Huawei, etc. The iPhone 7 plus comes with a 5.5 inch water resistant display with LED-backlit IPS LCD capacitive touchscreen of a resolution of 1080 x 1920 pixels (~401 ppi pixel density). Furthermore, the iPhone 7 Plus has a fingerprint resistant oleophobic coating on it which helps in keeping the fingerprint marks off the screen. Talking about its processing, the smartphone run on a quad-core 2.23 GHz CPU with six cores of graphics. Apple has also upgraded the chipset on the iPhone 7 Plus differing it from the previous iPhone models. It is all powered up with the new A10 Fusion chip with 64-bit architecture, which Apple claims to be the most powerful chip, and is also embedded with the M10 motion coprocessor. The use of the A10 Fusion chip on the device enhances the performance speed and provides more efficiency compared to the previous models . The cameras on the 7 Plus too have been considered a major improvement. The iPhone 7 Plus offers a dual 12 MP wide range telephoto camera capable of capturing high quality image with an optical zoom of 2X. Again summing up with some additional features it is built with six-element lens with quad LED flash, panorama, timer mode, burst modes, auto and manual focus, noise reduction, face detection, photo geotagging, etc. Also, it offers 4K video recording and 8 MP image recording as well as 1080p@30/60/120 fps and 720p@240fps video recording with optical image stabilization. The smartphone is also equipped with a f/2.2 7 MP front camera with face detection, HDR and panorama. The iPhone 7 Plus also gives the facility of Touch ID with the fingerprint sensor built into the new Home button and also has the feature of Apple Pay. As mentioned before it is also water and dust resistant. The battery life is also considerably more than the iPhone 6s Plus i.e. almost 1 hr longer and gives upto 16 days of battery life on standby. Also like all other iPhones, it offers no memory expanding slot and features a single nano-SIM card. A big change in this model has obviously been the arrival of the AirPods for the iPhone Plus 7. The removal of the 3.5mm jack has shown both the advantages and a fallback for the model. What do you think of the direction that Apple is headed with their wireless earphones? Do let us know in the comment section below.